Baby throws all night “how hard can you thrash around” ragers. My bladder is now the size of a shelled pistachio. At some point around 4AM, my stomach realizes it hasn’t eaten in SIX WHOLE HOURS and the situation needs to be rectified, ASAP. I have therefore spent far too many 4AM time slots contemplating what I will eat for breakfast. After I made this for the first time, I’m happy to report my contemplation has changed from “what” I will eat, to “when” an appropriate time to go eat might be. In a large bowl, mix the oats, sugar, cinnamon and salt. Set aside for a moment. In a small bowl, whisk together the honey, oil, and a dash of vanilla. Slowly mix together with the dry ingredients, until all oats are coated. On a large baking sheet lined with parchment paper, spread the oat mixture in a thin, even layer. Bake at 300 for 15 minutes. 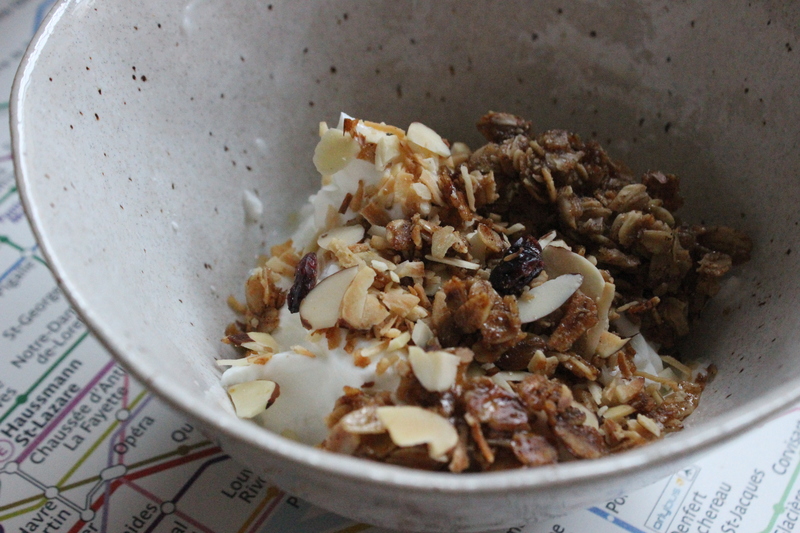 In a small bowl, mix together your add-ins: coconut, cranberries, and almonds, in my case. Remove the oats from the oven and gently mix in your add-ins, so they’re evenly distributed in the pan. Pop the whole thing back into the oven for another 10-15 minutes, or until the oats are golden brown. Remove – and as hard as it is – let cool for about 10-15 minutes before stirring and breaking up the crumbles. It’s worth it, trust me. I can’t believe how late in life I came to this epiphany: granola is amazing. Serve on top of a big bowl of plain Greek yogurt (I find the granola sweet enough) and berries, and watch your hunger dissipate for at LEAST 2-3 hours. 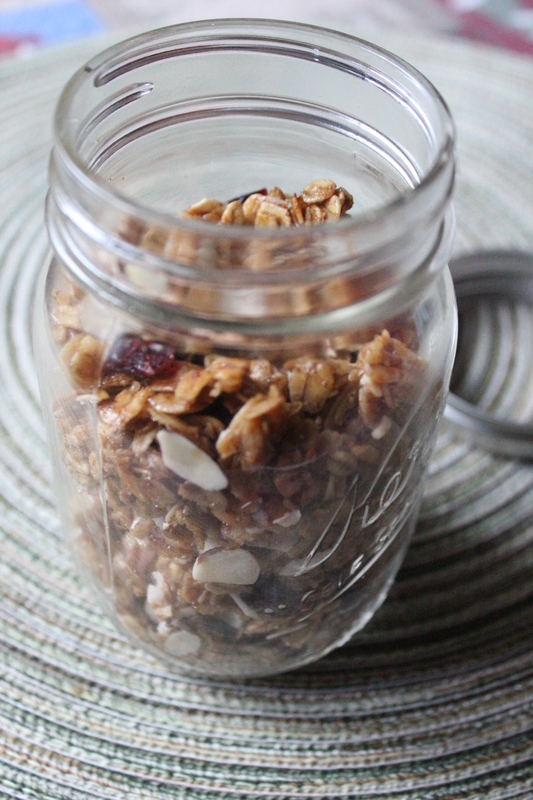 Posted on December 29, 2015 Author varinajCategories baking, breakfast, go-to, quick and easy, vegetarianTags almonds, cinnamon, coconut, cranberries, honey, oats, sugar, vanilla6 Comments on Homemade Granola.